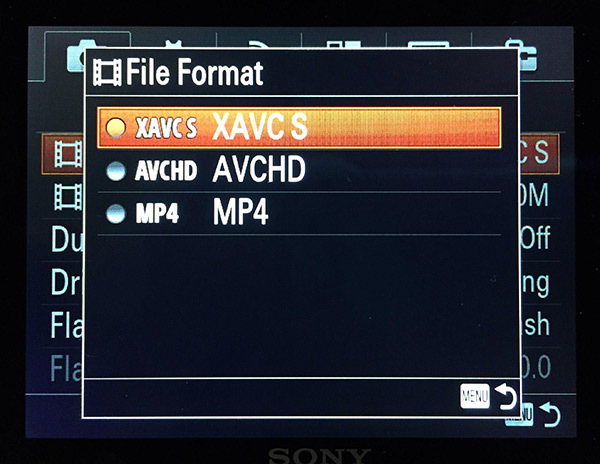 1) Proprietary and high quality/high bit rate Sony XAVC S.
2) Medium quality/medium bit rate standard AVCHD. 3) Low quality and low bit rate MP4 (MPEG 4). We strongly advise students to shoot in the higher bit rate Sony XAVC S file kind to maximize quality. It is also best practice to attempt to import the footage into Final Cut Pro or Premiere from your hard disk before formatting your card or returning the camera to our checkout lab. This will help ensure that you correctly copied the data to your hard drive. This will download as a .dmg file. Double click to open the .dmg package and then double click the file “XDCAM XAVC Camera Import Plugin.pkg” to begin the installation. As of writing this it is compatible with Mac OS X 10.9 or later, and Final Cut Pro 10.1 or later.